Huawei's second Windows Phone 8 smartphone has been doing the rounds in Rumorland for a while and we even saw the first official photo of the Ascend W2 a few days ago. 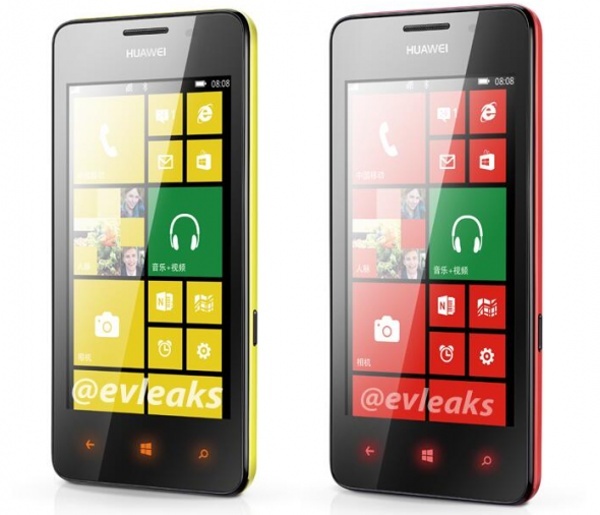 Now, two more press images of the Huawei Ascend W2 has been leaked, courtesy of the popular leaks source evleaks. The two shots reveals that the smartphone will be available in a red and yellow colors, adding to the previously revealed blue shade. Meanwhile, the Ascend W2 is rumored to sport a 4.3-inch HD display and the smartphone is expected to feature a 1.5 GHz dual core Krait CPU along with 1 GB of RAM, 8 megapixel camera with LED flash, wide range of connectivity options and a 2,000mAh battery. Unfortunately, there is no word on the pricing of the smartphone, but previously we heard the Ascend W2 is to carry a price tag below $300. Sadly, the availability details too are unavailable at the moment. Hey Gsmarena.. Xperia M announced..
Why do all Windows phones have such crappy colors?